Here’s who I want to be: I want to be an amazing horseback rider, cattle entrapenuer, business woman, writer, friend, and encourager. I want to rope and drag without missing, load every shot gun with vaccine in record time, and have strength to wrestle calves. In my wild imagination, I’m Annie Oakley, Martha Stewart, and Sacagawea. I climb rough terrain, wrangle every last cow, and know exactly when to buy and when to sell. I’m really good at dreaming. I’ve never roped and dragged anything. My riding skills are currently nil due to trepidation after a mishap awhile ago. My husband is the brains, brawn, and bravo behind most business deals. (I’m super proud of him; this is not said with angst.) The last calf I attempted to wrestle laughed at me. I haven’t shot a shotgun in years and my vaccine shotgun sticks frequently. My home is my peaceful refuge, but nothing Martha would endorse. My exploratory and navigational skills are top-notch–but only to scout out my kids or a good deal. We recently watched “The Secret Life of Walter Mitty”. In the film, a man finds adventure only in his daydreams until circumstances arise that excite him to a point of actually embarking on adventure. To some extent, I’m completely happy in my daydream land. I’m somewhat quiet and reserved, especially in agricultural circles. What if I say the wrong thing? 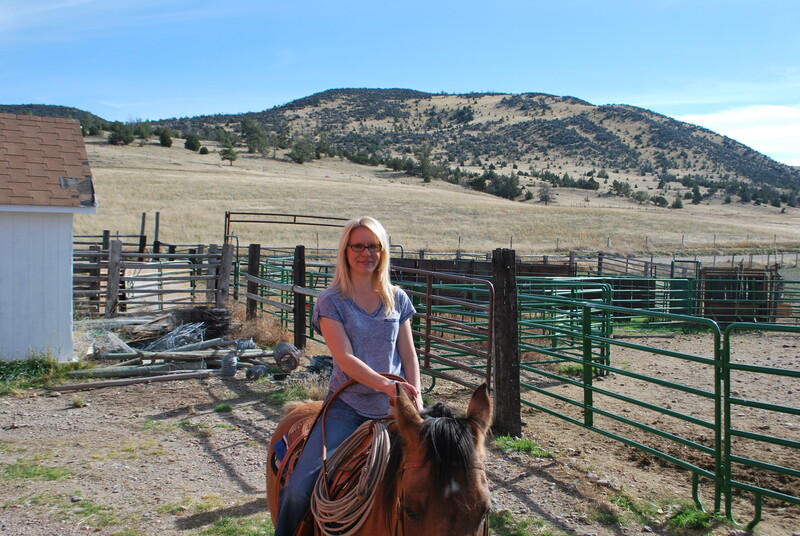 This is why I loved the idea of this ranch wife blog, but sometimes find it difficult to write it. I admire you Annie Oakleys, Martha Stewarts, and Sacagaweas of the west. I’m amazed by the skill of you women who ride and rope. I enjoy cooking and studying market trends. I like giving vaccines. Although it sounds weird, my favorite thing in agriculture is to pray blessings over the land and cattle–mine and yours. I don’t rope. I don’t ride anything with more kick than a carousel horse. For this, I’ve always felt inferior. Afraid to step out. During an Idaho Cattle Association meeting, I stepped out and attended the Cattlewoman’s Meeting. I didn’t know anyone, but found them all to be nice. At one point in the meeting, someone said something like, “We’re trying to reach all ranch wives. Some work out of the home to support the ranch. Others are outside with their husbands. Some are stay-at-home moms. Still others cook and clean, taking care of whatever they can to help their ranch.” My heart nearly stopped. You mean I didn’t have to be Annie Oakley, Prairie Woman, and Sacagawea? I could be me and still be a “ranch wife”? It was shortly after I started this blog. The demons of doubt didn’t flee though. I struggled to keep writing because our ranch is minute compared to other places, my talents meek in comparison. Yet, no one else can be me. Friends, if you have ever found yourself in a similar arena–others’ talents mounting past your own, your worth fragile in comparison’s light–maybe we can help each other by reminding ourselves that who we are isn’t determined by who someone else is. I’ll probably never gallop up steep hills like Jim Craig (The Man from Snowy River). Yet I’m willing to try and I love to bless. So friends, may our cattle increase, may our land produce. May new opportunities find us and solutions spill out of us. May love and gratitude be our foundation and evil never prosper. May good things happen in the agriculture industry. In Jesus Name, Amen. Camparing yourself to otherscattlewomenFamous Women of the WestRanch WifeWho Am I? I LOVE this! This speaks to me on so many levels. Thank you for sharing! Thank you for commenting; I’m so glad you “stopped by”! Many blessings on all you do and who you are!